Jazz, swing, ragtime, funk, rock! 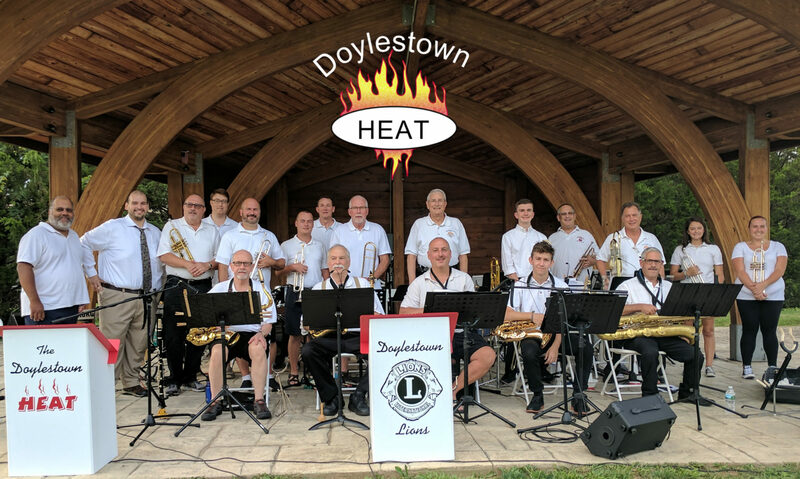 The Doylestown Heat plays an energetic mix of music that everyone can enjoy. One thing is for sure: you won’t be able to keep your feet still. The Doylestown Heat is the ambassador band of the Doylestown Lions Club. The Doylestown Lions club sponsors us, and all of the money we earn from appearances goes back to the Doylestown Lions Club for community service projects. Our reward is the fun we have making music and the appreciation we get back from our listeners!